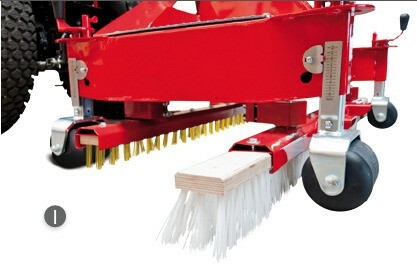 Brushing attachment for filling material, intensive erecting and sweeping of artificial turf fibres. 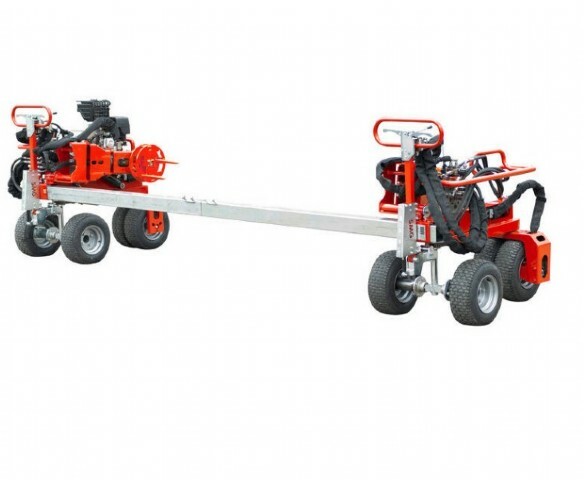 The oscillating brush OS1700/OS1700 PTO attachment is designed to straighten up the fibre and brushes the the infill material into the artificial turf system. The oscillating movement of the brush unit allows multi directional work. 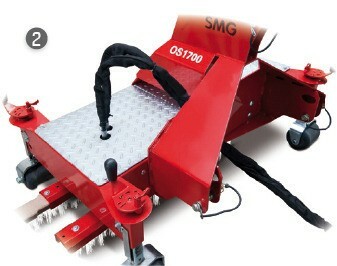 The SandMatic, which is equipped with the very same oscillating brush feature, has been used for this purpose for years; it enables work `against` and `with` the pile. 4 adjustment spindles are used to precisely adjust the working depth in accordance with the pile height. The OS1700/OS17OO PTO attachment provides fibre support by distributing the infill material homogeneously throughout the artificial turf surface. The OS1700/OS17OO PTO attachment can be used with brushes of di fferent hardness/sti ffness to loosen the infill material or to decompact the artificial turf surface (e.g. : when sand is used). This attachment can also be used as a sweeping brush for the maintenance of the artificial turf surface just by switching off the oscillating movement of the brushes. The working width is 1,700 mm.